France have recalled scrum-half Sebastien Tillous-Borde for their Six Nations clash with Wales on Saturday, February 28. 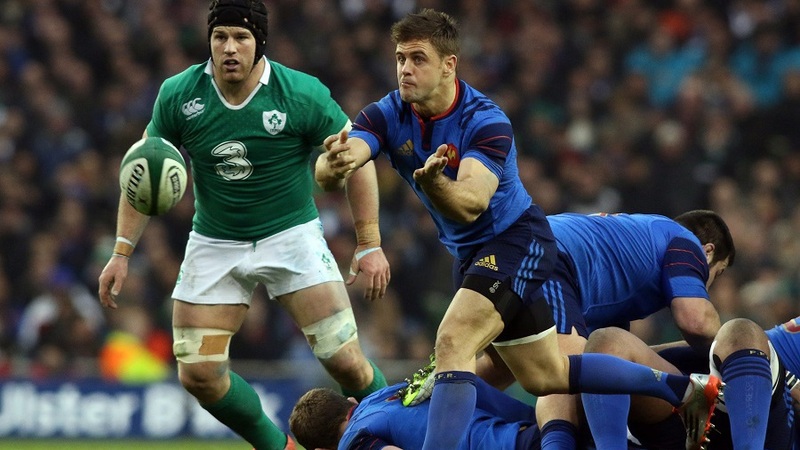 Rory Kockott, who was largely disappointing in the No.9 shirt during France's defeat by Ireland last weekend, drops out of the 30-man squad after failing to recover from a thigh injury picked up in the 18-11 loss at the Aviva Stadium. Toulon half-back Tillous-Borde missed the first two rounds of the tournament with a knee problem, with head coach Philippe Saint-André handing the South African-born Kockott his first two starts for Les Bleus. Tillous-Borde started all three autumn internationals for France last year and will challenge Clermont's Morgan Parra for a place in the starting XV to face Wales at the the Stade de France. Bordeaux-Begles fly-half Pierre Bernard, 25, and outside back Sofiane Guitoune were also called up along with Toulouse's young centre Gael Fickou. Impressive wing Teddy Thomas misses out with an ankle problem, while former captain Pascal Pape has been handed a 10-week ban for a crude knee of Ireland's Jamie Heaslip last Saturday.